On quiet winter days between reports of Valley craft beer happenings, your friendly neighborhood Beerhunter has been wandering a bit further afield. Over the past few months, I’ve written articles about my stop-ins at breweries in Worcester, Hartford, and northern Connecticut. But home is where the heart is. 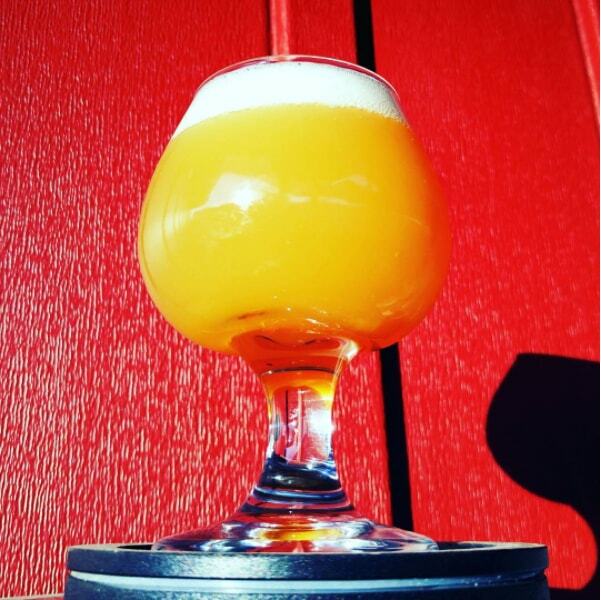 So on Instagram the other day, my scrolling thumb paused, hovering over the image of a bright, hazy glass of IPA. That specimen, called Pomona, had popped up on the feed of the brand-new Vanished Valley Brewing Company in Ludlow. Head brewer Josh Britton is still putting the final touches on his brewery, and the beer isn’t available to the public for another few weeks. But Vanished Valley beers have taken a trial run here and there over the past few years, like at the 2014 Worthy Craft Beer Showcase at Smith’s Billiards in Springfield. And the brewery has already garnered some name recognition for its involvement in recent regional events like last spring’s Western Mass Beer Week. My spidey senses were tingling, and I could practically smell Pomona’s hoppy haze through my screen. It was time to touch base with Britton. I stopped by Vanished Valley’s small, shed-like headquarters — it’s located on Center Street, in the back parking lot of Europa Black Rock Bar and Grille — and found Britton in cleaning mode, sweeping away the last of some water before checking the settings on a custom-made electronic interface on one wall. This panel controls the burners under the four brew vessels on his self-built stove, as well as his three 10-barrel fermentation tanks and one 10-barrel brite tank. As a homebrewer, Britton had been crafting beers under the name Footbridge Brewing until last year, when he announced the creation of Vanished Valley via Facebook. Britton, whose day job is in development grant writing and product management, spent the following year writing business plans and looking at models. It all fell into place when he teamed up with Mike Rodrigues, who owns and runs Europa. 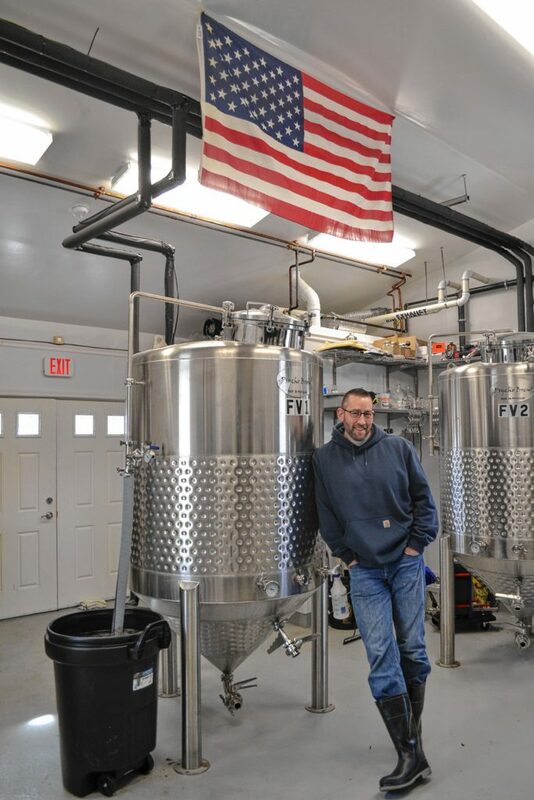 Britton says he had many of the plans for a small brewhouse drawn up and finalized — “I just needed someone to come in with the resources and start playing.” Rodrigues brought in the financing needed to go the last mile, allowing Britton to renovate the old innkeeper’s building behind the restaurant, install new plumbing, and set up shop. On the afternoon I stop by, beer is in the works. Inside the small space, my conversation with Britton is backed by an undercurrent of deep bubbling sounds coming from one of the fermenters. During fermentation, yeast eats sugar, creating carbon dioxide and a lot of bubbles — which Britton siphons out of the tank through a thick tube. On the other side of that metal barrier, Pomona IPA burbles away. Britton explains that the last batch of Pomona went quickly at Europa. 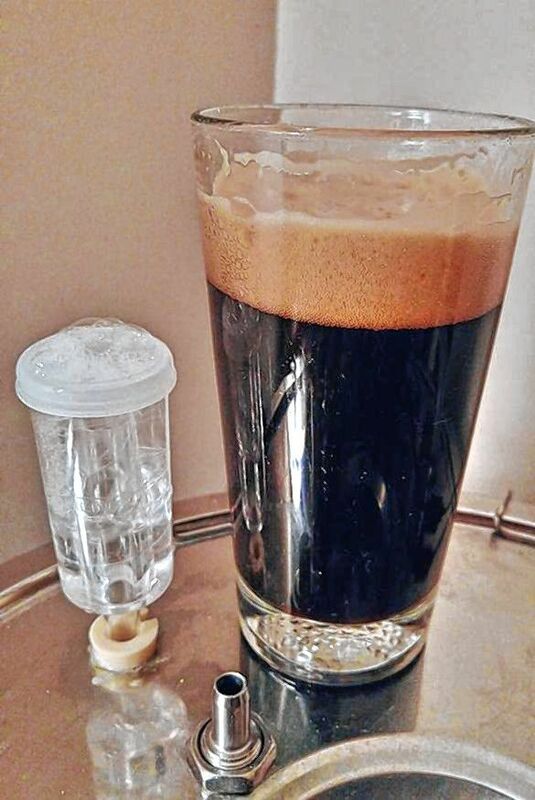 “We took a five-gallon keg up to the restaurant last Friday and put it on tap at 11 p.m. We didn’t market it or tell anyone — we just wanted to see what happened. It was gone in less than 24 hours. We put on another one, and it was also gone in less than 24 hours.” This next batch of Pomona, he says, is headed to the restaurant as well. In addition to the Citra hop-powered Pomona, Britton brews another hazy, New England-style IPA called Watershed, which is loaded with Mosaic and Simcoe hops. 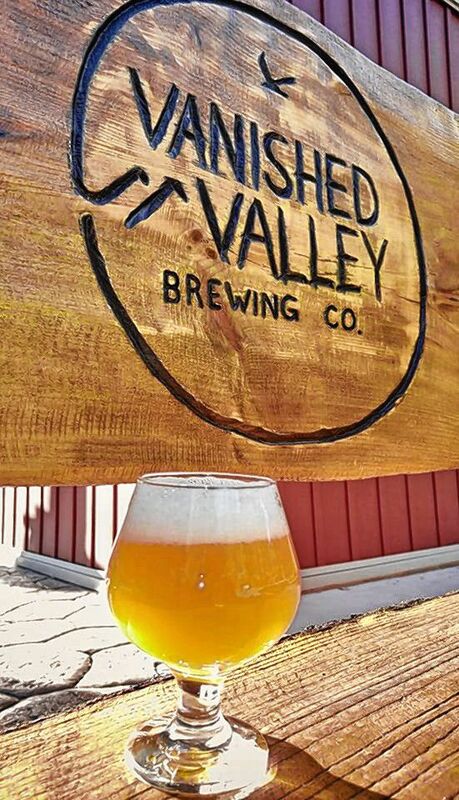 Vanished Valley will also regularly brew a chocolate milk stout called Lost Town, which is flavored with cocoa nibs and Madagascar vanilla beans — “It’s like dessert in a glass” — a Kolsch-style beer called Gon’ Fishin,’ and a pale ale called Take Flight. That’s why Britton encourages curious craft beer fans to stay updated on Facebook and Instagram, then stop by to try the beer and chat with him. As a homebrewer who spent years giving away what he can now sell, that communal ethos seems a nice thing to retain as the company grows. Vanished Valley is officially up and running — Britton and Rodrigues received their state license and town approval in early January — but the tiny brewery has no taproom. Britton plans to sell growlers and to do some limited in-house canning, but that’s still several weeks away. 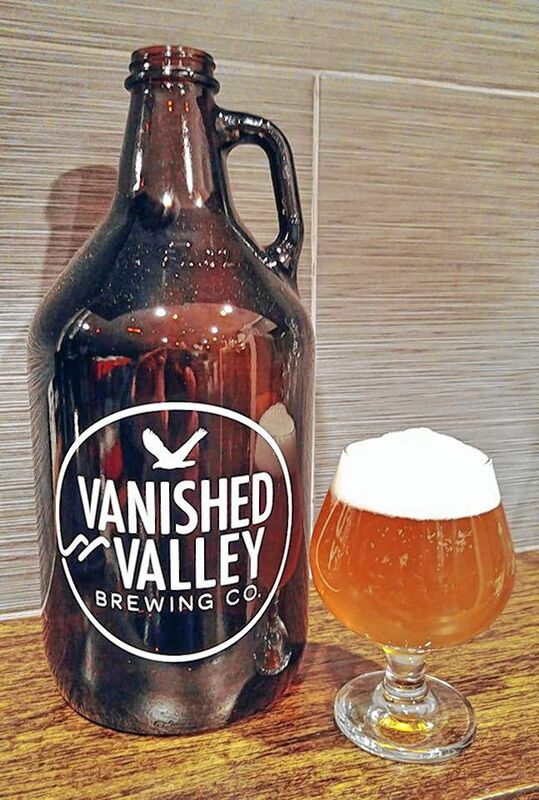 Vanished Valley beer will be available on tap at Europa and, Britton assures me, at a few other restaurants and bars in the near future.